The power you need with the features you want! QuickDuct CAM Bench+™ has powerful features that take the manual effort out of job takeoff, tooling, nesting and downloading. It includes the “extras” that you would find only in a system developed by sheet metal experts. 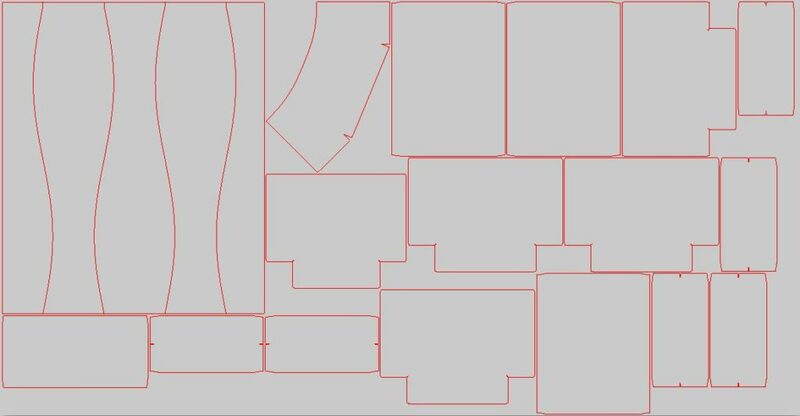 A comprehensive basic fitting library and comprehensive seam & connectors libraries gives you everything you need to design, input, nest and cut your fittings jobs. Now with our new “Fly-Out Window” user interface. 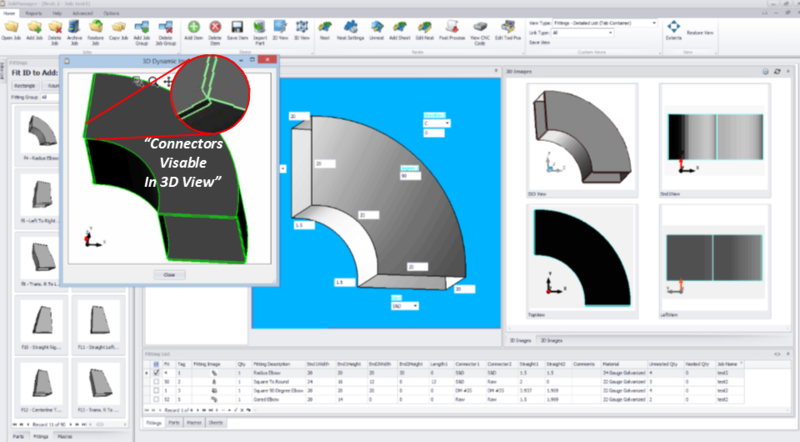 By using powerful Windows’ features, our new Fitting Palette makes it easy to select your fittings, input the dimensions, quantity and material type, and then see an actual 3D preview of the fitting and the 2D flat layout of the parts. 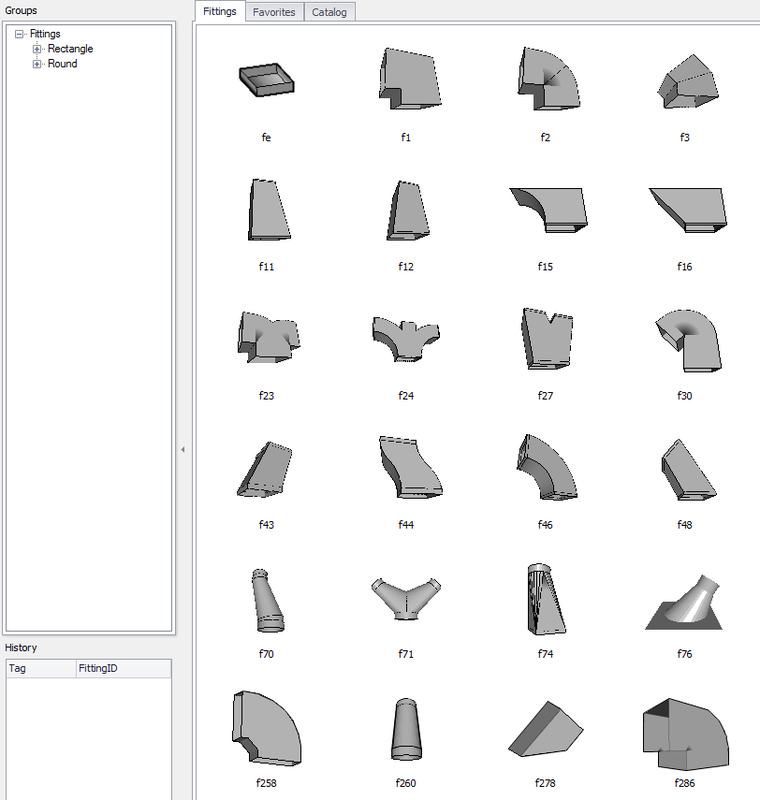 One click of the auto-nest button nests the parts to optimize material usage and then you can view the nested plates as they will be cut. 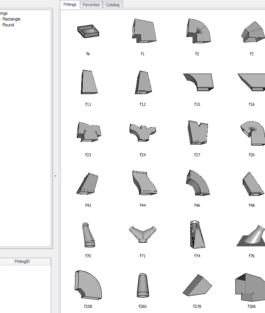 You can even modify the finished patterns for special applications by using our powerful CAD drawing module. You can place holes, chop pieces, scale or stretch them, and even merge two pieces to create a one of a kind fitting. New! User Configurable Screen Layout! Click on images for full size view. Our new user configurable screen is designed to give you the maximum flexibility and maximum productivity. You arrange the screen the way you want, even use two screens, whatever helps you get the job done! Most comprehensive basic fitting library in the Industry that provides the ultimate in flexibility! 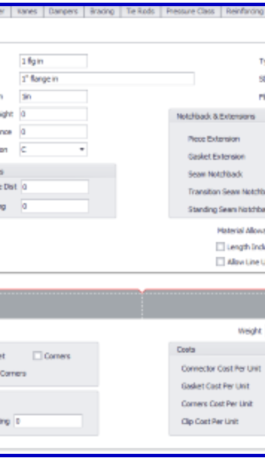 The QuickDuct CAM Bench+ Fittings library includes the 50 most used rectangle and round fitting shapes including cones, offsets, elbows, wyes, and square-to-rounds. 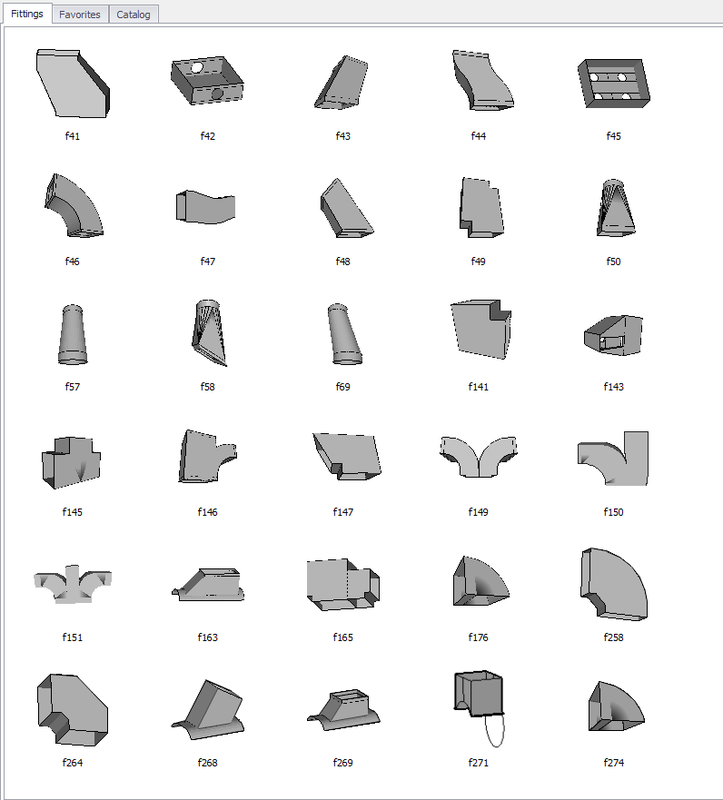 Capabilities such as mitering, reducing, concentric/eccentric dimensioning are available as well as selectable seam placement, selectable hole sizing, dual wall, tie rod holes and inside/outside diameter material compensation. 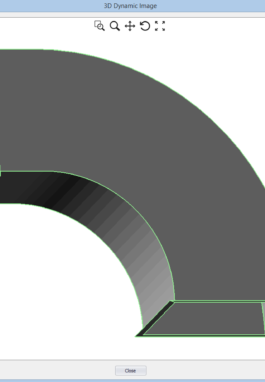 Incredible user-definable shop standards allow you to modify your seams and connectors. 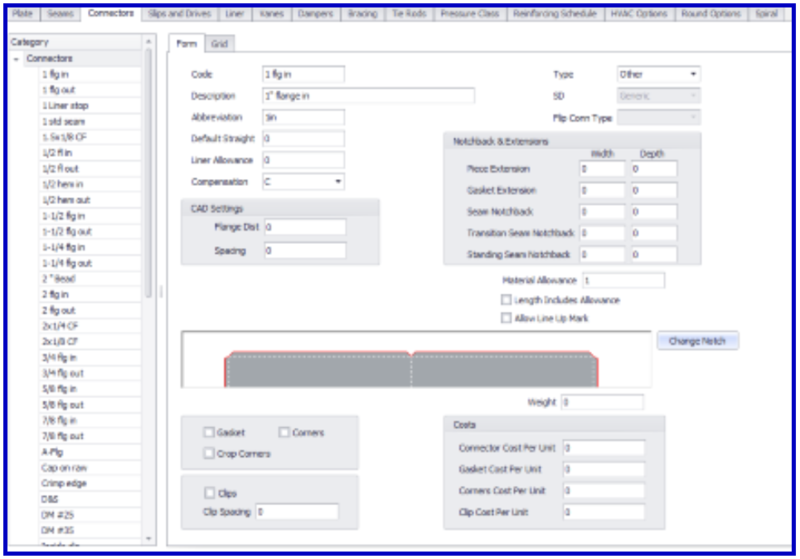 Shop Data allows you to customize your HVAC software. Use standard industry pressure classes, or define your own pressure classes and construction tables. 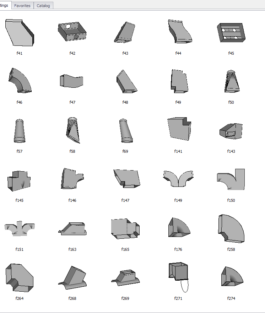 Define seams, connectors, vanes, materials and more. Enter your actual costs for accurate job costing! QuickDuct CAM Bench+’s shape nest automatically nests parts side by side and rotates them to match interlocking angles and contours. 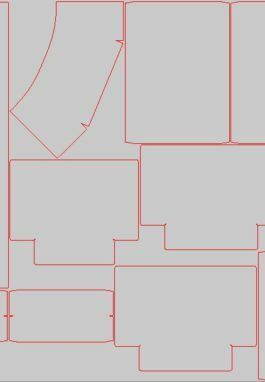 Part “pairing” maximizes material usage through piece placement. inside internal cutouts for the highest nesting precision. Other nesting features include chain cutting, move & bump manual nesting with mouse-controlled part rotation. 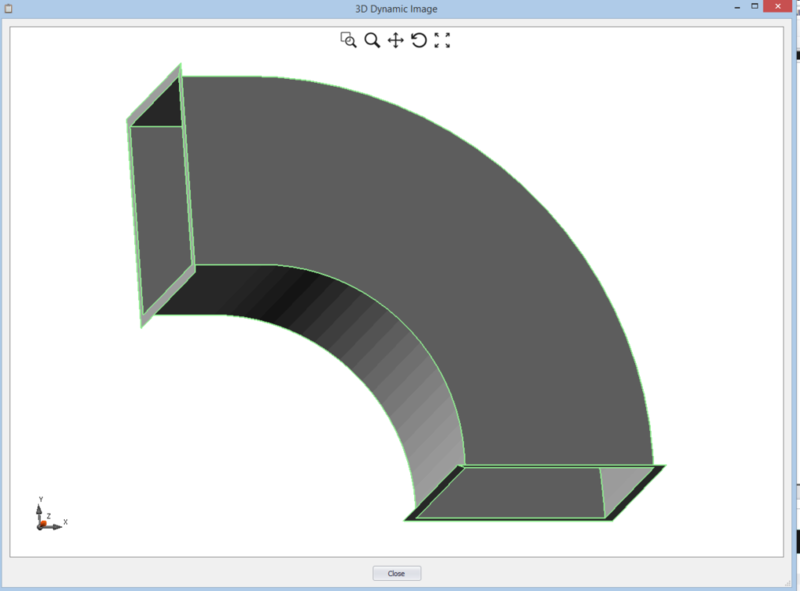 Check your fitting with our Dynamic 3D viewer. Pan, tilt, zoom. Check the connectors.